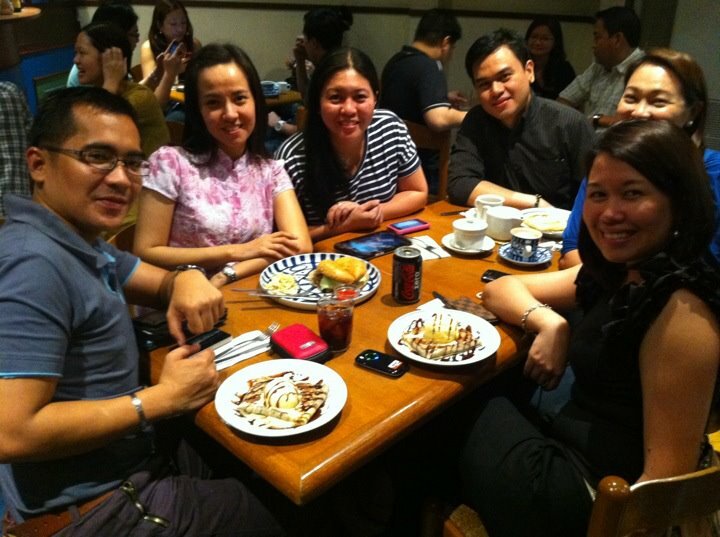 I had a super fun dinner at Burgoo, Podium last Friday night with my good old college friends. The conversation and company were so good that nobody wanted the night to end just yet. So we headed to nearby Cafe Breton to continue our own little party there. We intially planned on having only coffee after the pizza pasta we had for dinner but after seeing the delectable assortment of crepes on the menu, we decided to order one each for ourselves. 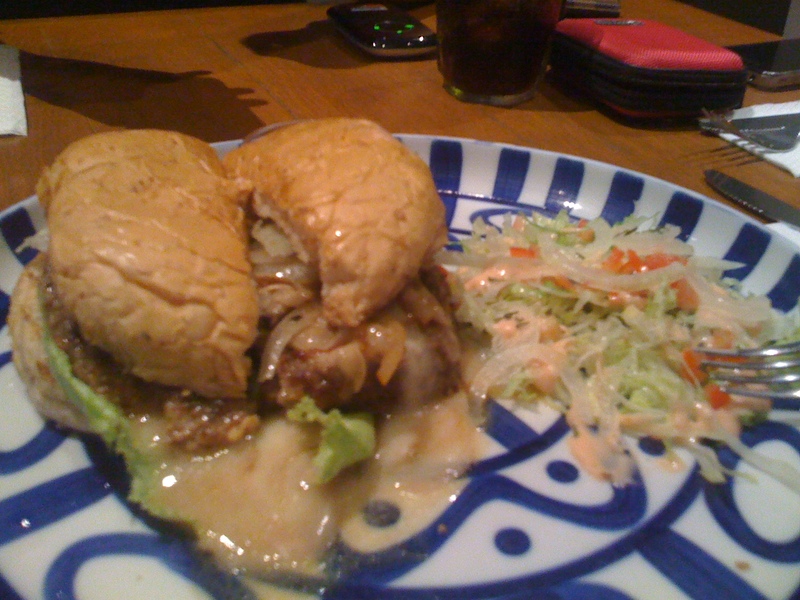 Our friend Sally though was was still hungry after battling it out at EDSA (traffic was as usual horrendous there) and so she ordered an additional burger. 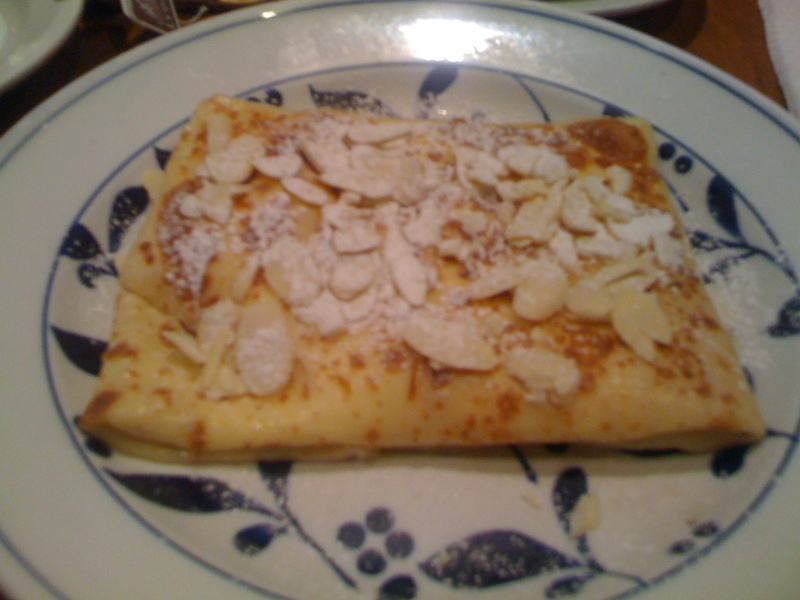 What can I say, Cafe Breton’s crepes’ are purrr-fect! I had a full tummy and full heart that night. I love Cafe Breton! I used to frequent their branches at Tomas Morato and The Podium. Their crepes are delish, especially those that are mixed with a little bit of alcohol. 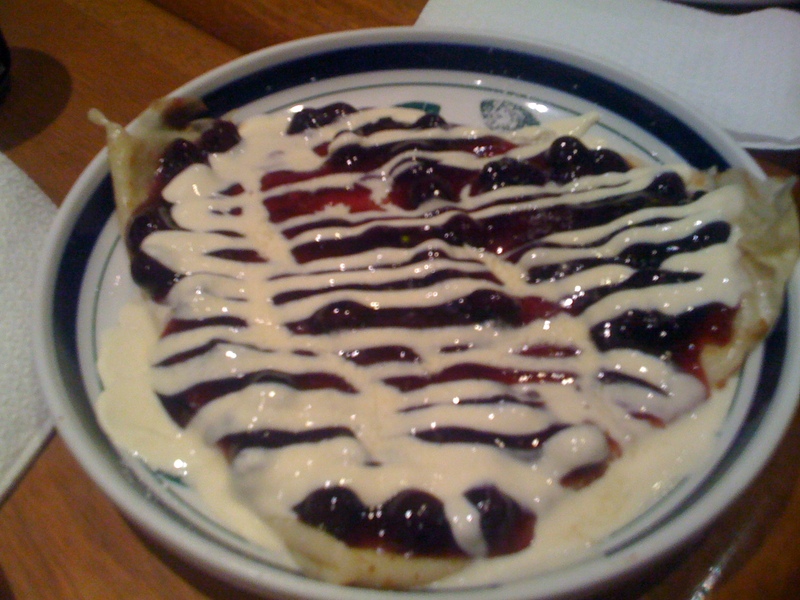 The crepes looked appetizing… but it was the last crepe (was it blueberry?) caught my interest the most. They have a branch in greenbelt right? 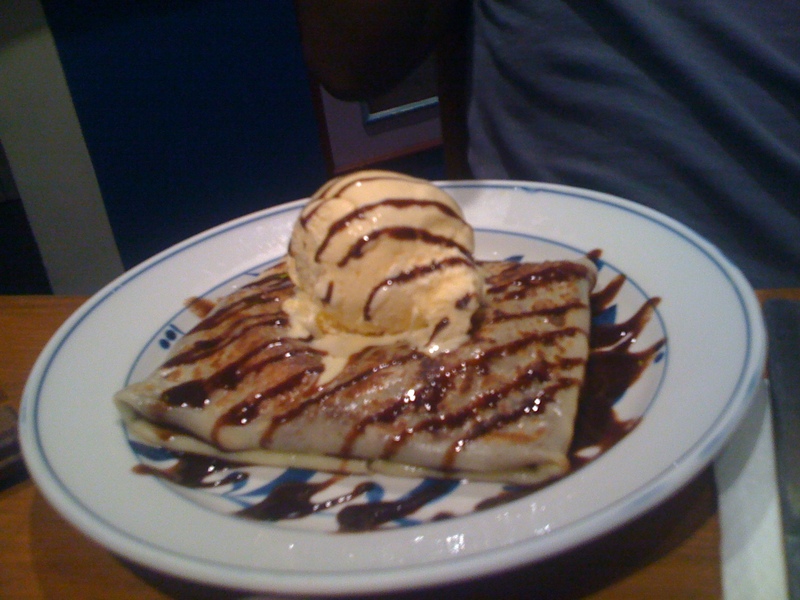 I love their crepes too!